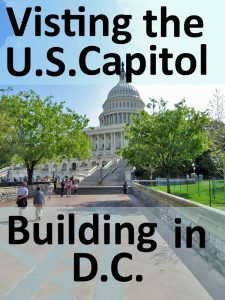 Visiting the U.S. Capitol Building in D.C.
Ok. I’m not sure about everyone else out there, but I found the information for visiting the U.S. Capitol Building to be a bit muddled. (Please someone out there, back me up on this and let me I’m not alone in the comments! ) 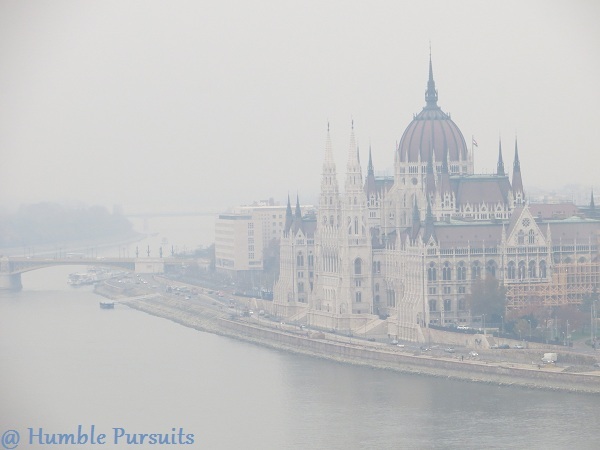 I have planned logistics and activities for a Europe trip, to multiple cities, through multiple countries, for multiple people, all with public transportation, and still felt like I had more uncertainty on what to expect for the Capitol Building. It was much more of a, we’ll figure it out when we get there, experience. However, if you want to make the most of your time, and don’t want to miss anything, it would be nice to make it efficient, and spend less time in lines. There was also a misconception we had that held us back from going last year, and while talking to family about the experience, we found they had the same misconception. So I would like to break it down, and hopefully help others out there who might have the same questions I did. Do I Need to Schedule my Visit in Advance ? NO! We thought you needed to schedule your visit in advance through your local congressman (you can also schedule a tour yourself online). You do not. When you enter the Capitol after going through security, you will proceed down a level where there will be two lines. One line is for people who have scheduled tour times already, and the other is for people without a scheduled tour time. When we went there was no wait for either line. Later that day, the scheduled tour time line was far shorter than the other. 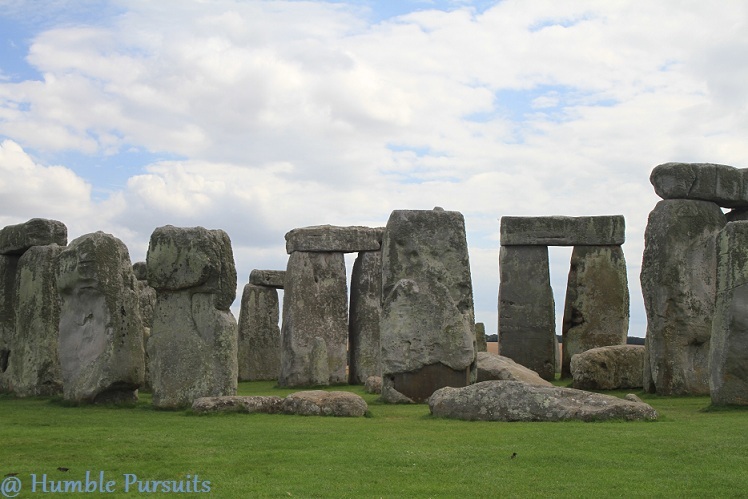 Which is better is dependent on your travel group, your priorities, and what you plan on seeing that day. If you plan on seeing a museum or the White House first, then having a scheduled tour time may not be your best option. TIP: When in line for your tour pass, ask then about any other tours you may want to see that day so you don’t have to wait in line again! 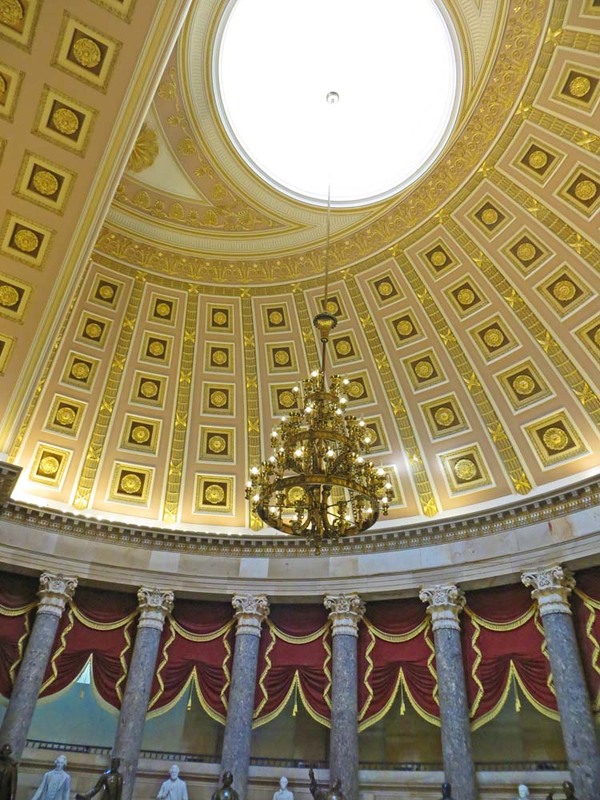 What are the House & Senate Galleries? 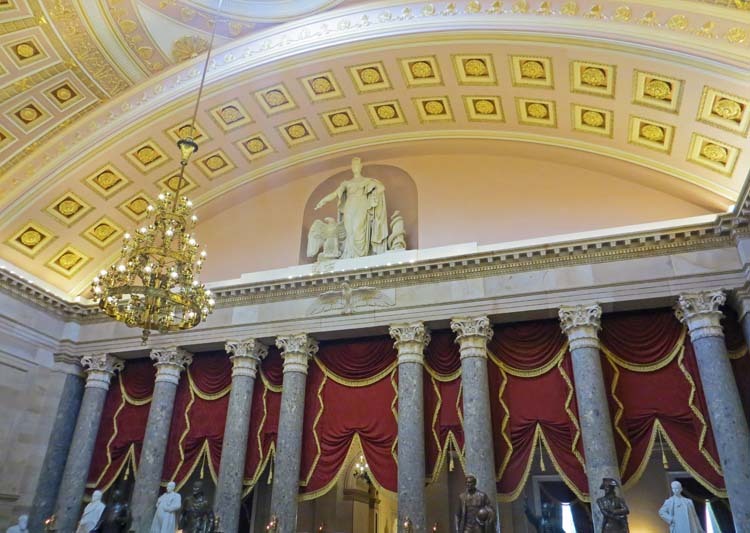 The House and Senate Galleries are the viewing areas above the House and Senate Floor. 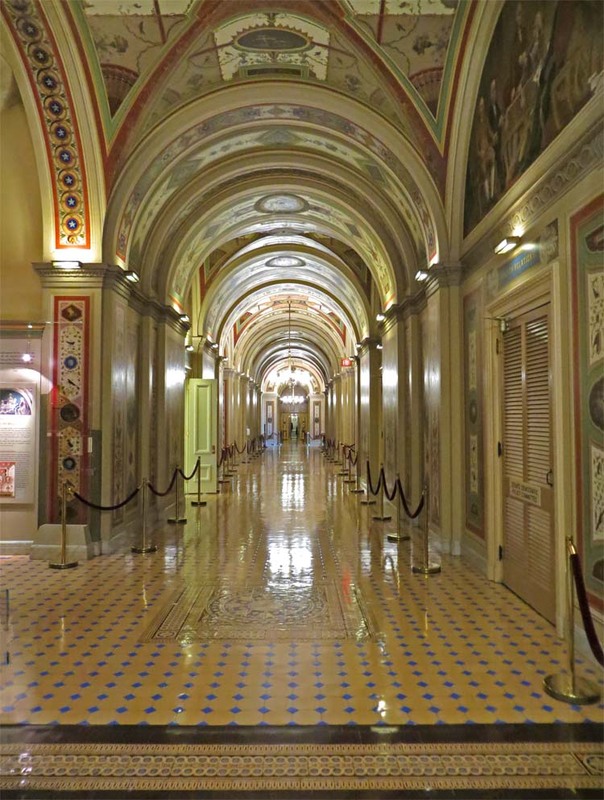 Can you visit the Galleries while Congress is in session? Yes! You can visit the galleries when either is in session. When we were in the Senate Gallery, we watched Senators give statements for approval or disapproval of John Bush as a nominee to the U.S. Court of Appeals for the Sixth Circuit. While in the House of Representatives Gallery, we actually watched a bill pass! 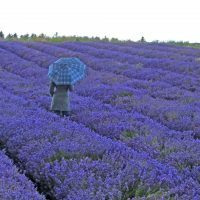 How Can I Visit the Galleries? 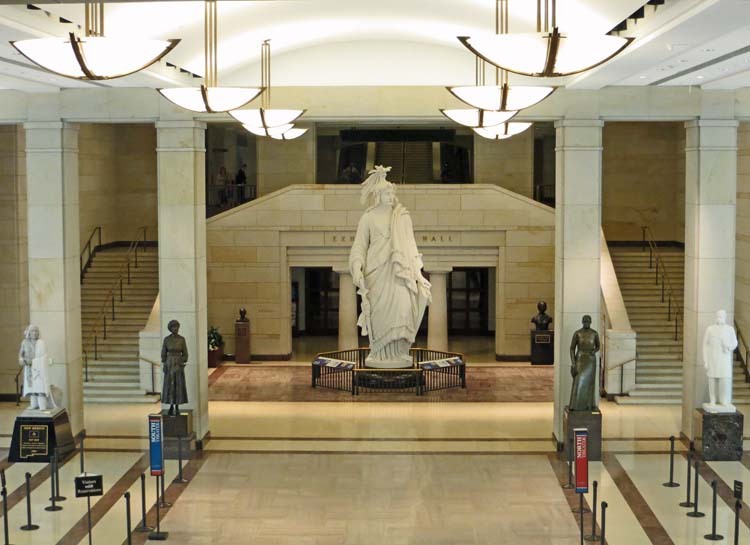 The Galleries are not apart of the tour you scheduled with your local congressman, or a tour available through the Capitol. To visit the Galleries, you need a Gallery Pass. One pass for each side, the House of Representatives, and the Senate. Pick up these passes, from your local Senator’s office, before you enter the Capitol Building, so you don’t have to leave and go through security again. Your Senator’s office will probably have both the House and the Senate Passes (this was told to us by one of the tour guides which is why we went there). 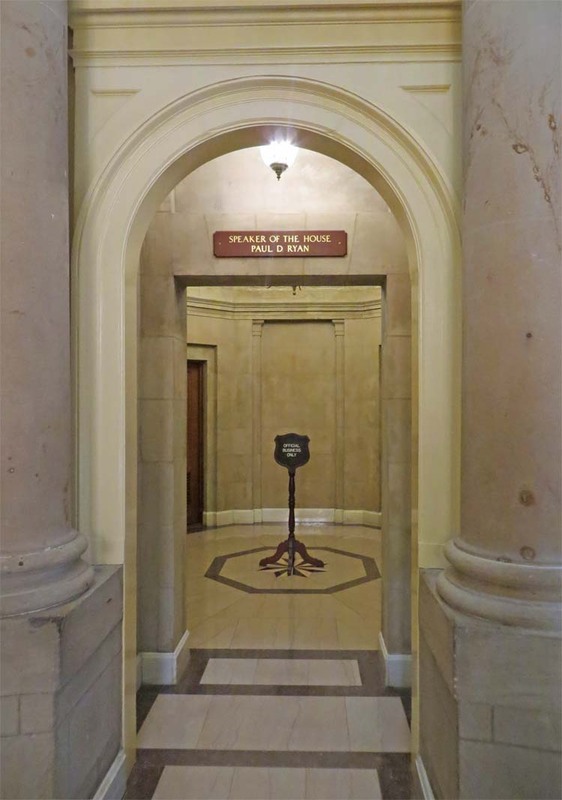 There are two different buildings containing Senator’s offices, so check your Senators website before you go to get the correct building and office number. Also, these building also have security lines so leave enough time to pick up the passes if you have a scheduled tour time. This list is long and varied, and for a complete list I’ll have a link to the Capitol’s website at the end. But there are a few things I want to cover here. First, let me start with water bottles. When visiting D.C. in the summer (especially August, ugh swampy heat weather), and walking around all day, you’re going to want a water bottle. Or water… God Bless those men who sell bottled water from a cooler to all us tourist for a dollar on the down low (make sure your cap’s seal hasn’t been broken). On their website it says, no bottled water. I took this to mean the same as an airport. So I brought a refillable bottle of water, and dumped it across the street in the grass before getting in line. You guy’s DON’t dump your water before getting in line if there’s a wait. You’re gonna want it! Also, they have graciously place a drain in the landscaping near the garbage cans by the front of the line, specifically to dump you water from your water bottle. There’s even a sign! WISH I had known this! Also, although this tactic works for the main building, it will not work for the Galleries (yes, you will have to go through more security), but you can check it. That’s something else I’d like to mention. 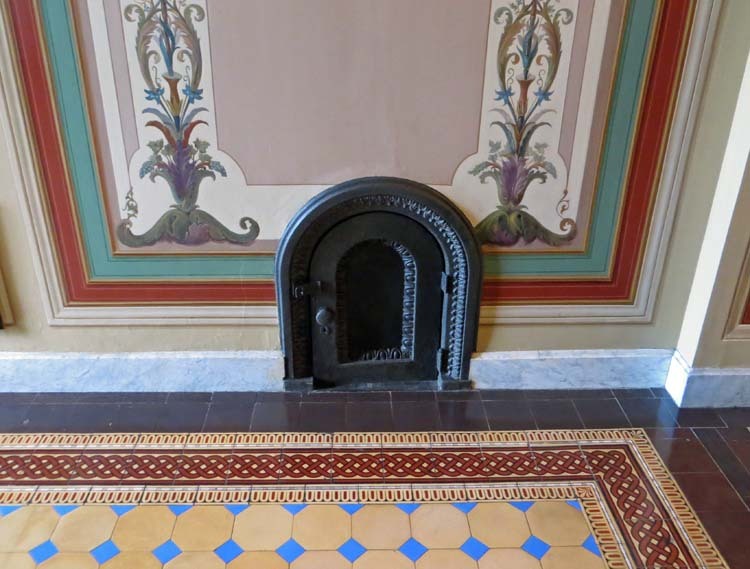 Some of the things you can bring into the main building, like lotions, phone, camera, key fobs, backpacks, are not allowed into the Galleries and will have to be checked. This does not mean you will not be able to bring in a purse. Each Gallery has a checkstand you will first go through and check all of these items (I mean, come on, who’s not going to have a camera or phone). Then you and your remaining approved items, will go up to a security line before entering the Gallery. So you will get to keep your small purse with you. 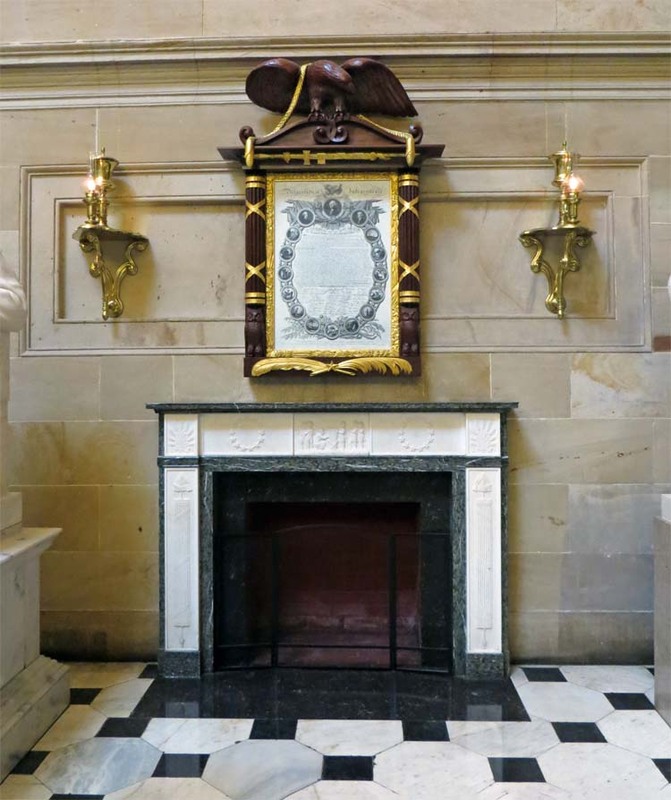 What is the Halls of the Senate Tour? No! 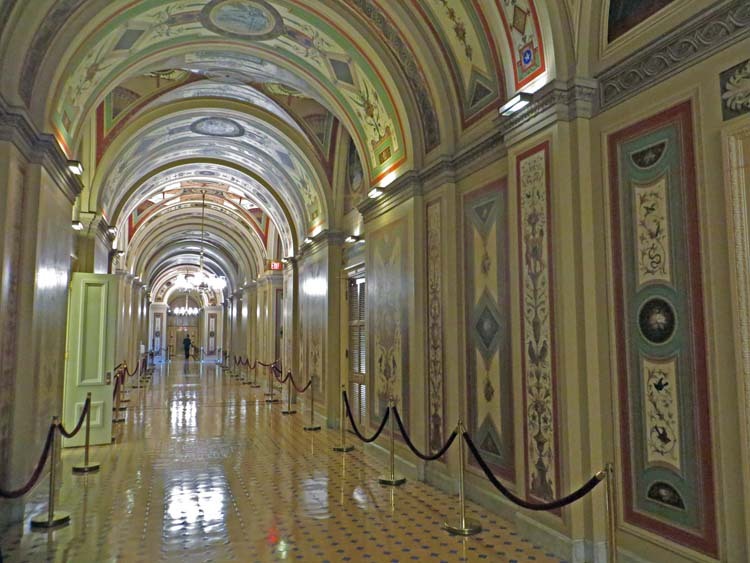 This is not a tour of the Senate Gallery. 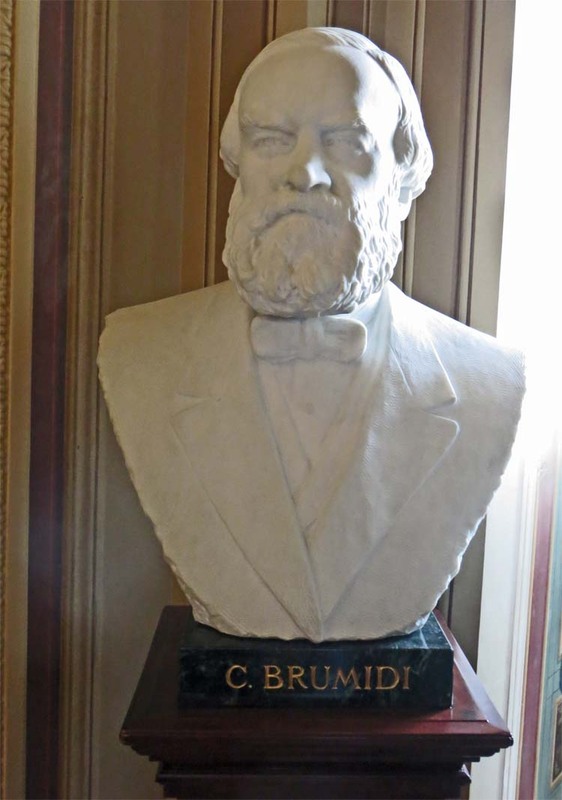 This should really be called the Brumidi tour for the artist Constantino Brumidi. 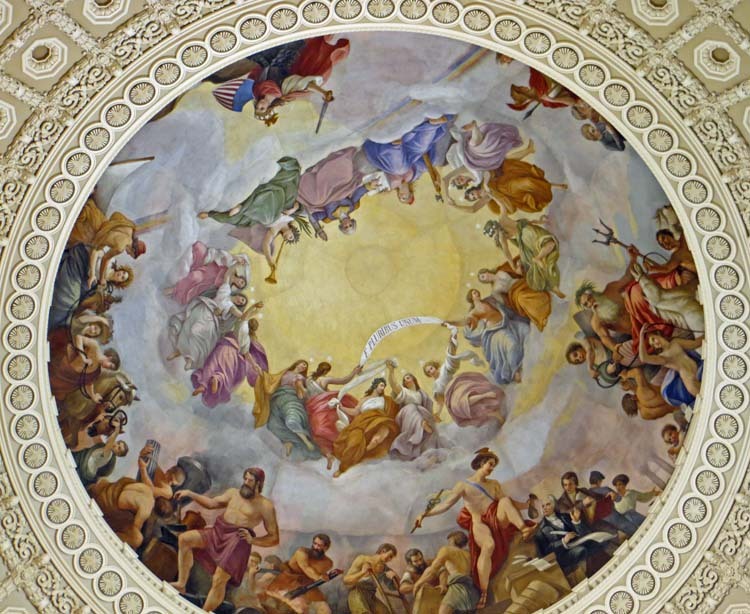 It takes you through the Senate Hall’s artistic work by Constantino Brumidi. Although interesting, this 30 minute tour was closer to 45, and a bit long. 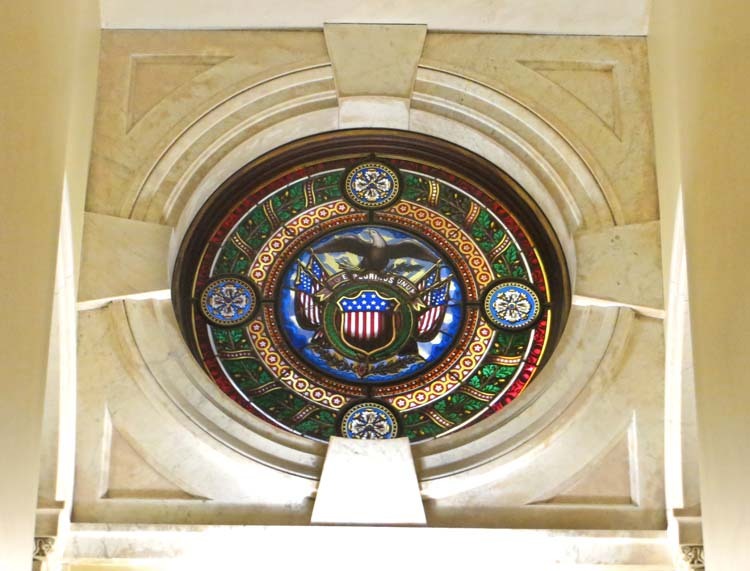 You did get a chance to see the Senate Appropriations Committee Room which was cool, and beautiful. Just a heads up if you’re short on time. 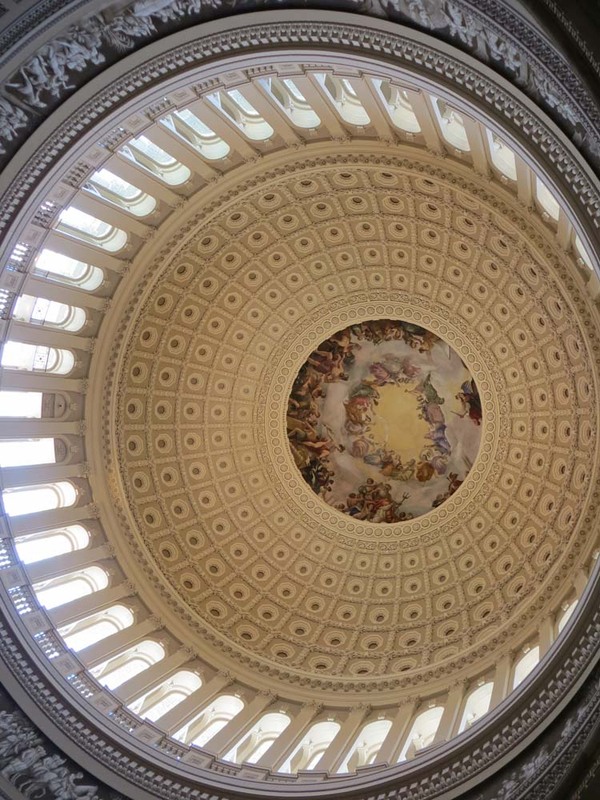 A Quick Review of our Visit to The Capitol Building. The Capitol tour was wonderful, and they really stick to that 1 hour timeline of a 13 min video and 45 min tour. They really cram a lot of information into that short amount of time, and it goes by fast. That being said, I wish you had a bit longer in the dome section to take it in. 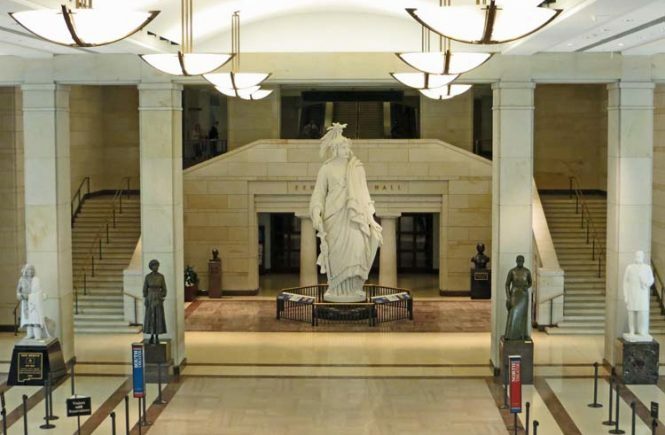 There is a nice museum section, and the statue, of the statue on top of the capitol, is impressive. The food was better than I expected, and decently priced considering you’re in a tourist attraction in an expensive city. And I would like to give a shout out to the maintenance and cleaning staff!! For how many visitors go through there daily their bathrooms were so clean and well kept! Thank you! This matters people! 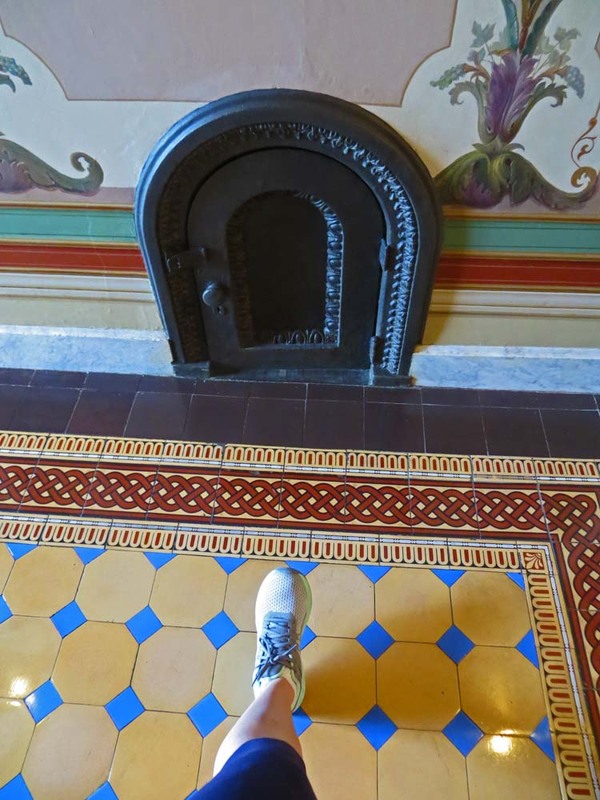 Also, on the Brumidi tour one of the maintenance staff said, “Welcome to the Capitol!” It was a simple and warm gesture… may I also note not offered by any of the politicians walking past. Sorry, I got a little off topic there. All in all it was a great visit. 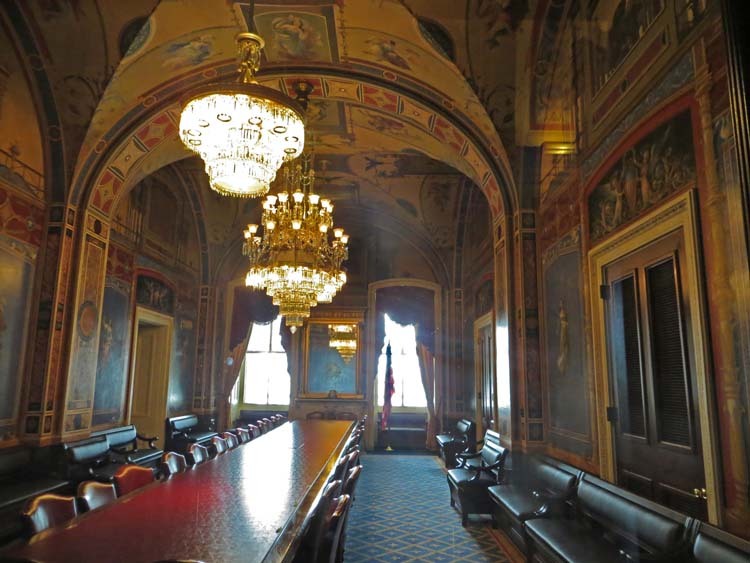 This is the Senate Appropriations Room viewed on the Halls of the Senate Tour. I wish this picture did the room justice, but it does not. It really is a beautiful room. I love this this little door! It looks like something straight out of Alice and Wonderland. There should be a bottle sitting outside the door labeled drink me. It was actually used as drain when mopping the floors. For a list of prohibited items. 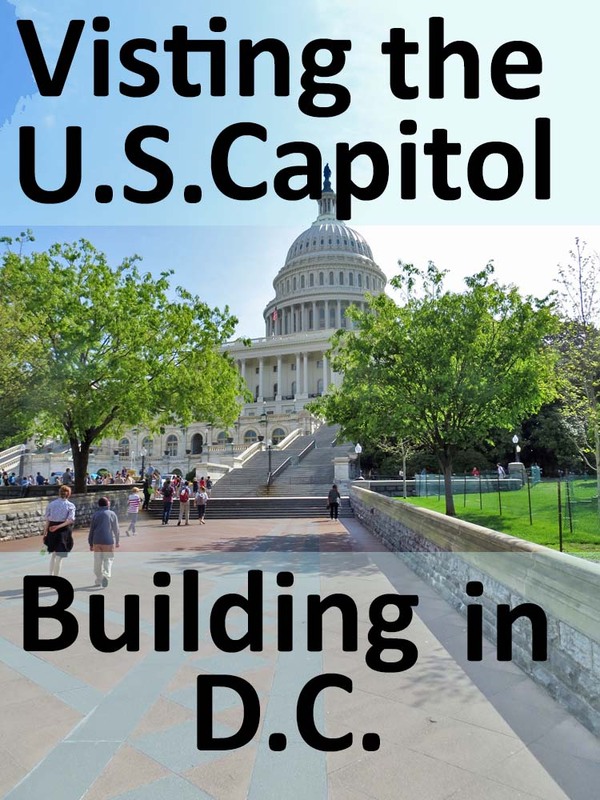 For more information on the Capitol. Any tips of your own, or any questions? Let me know in the comments!